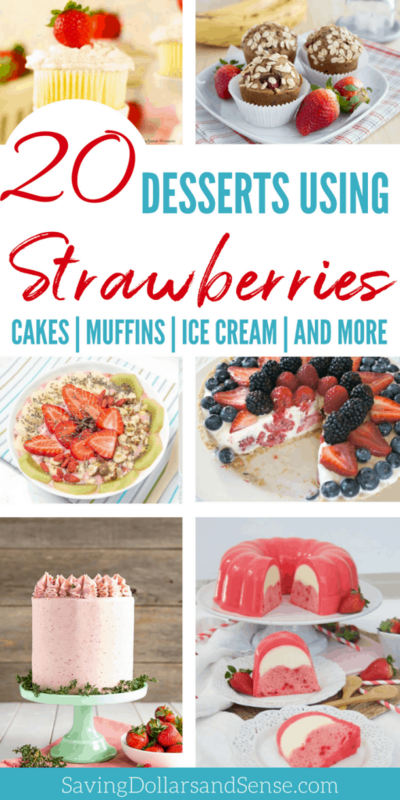 These delicious strawberry desserts are so mind-blowing everyone will be begging you to make them over and over again. Increasing your vitamin C has never tasted so good! 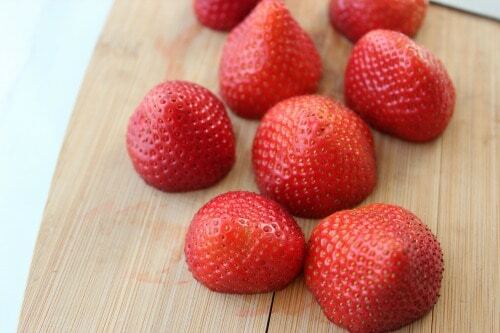 Strawberries are sweet, tangy and provide lots of healthy nutrients. Most people can’t get enough of their delicious flavor. Strawberry season is on the horizon so stock up and try out a handful of recipes! 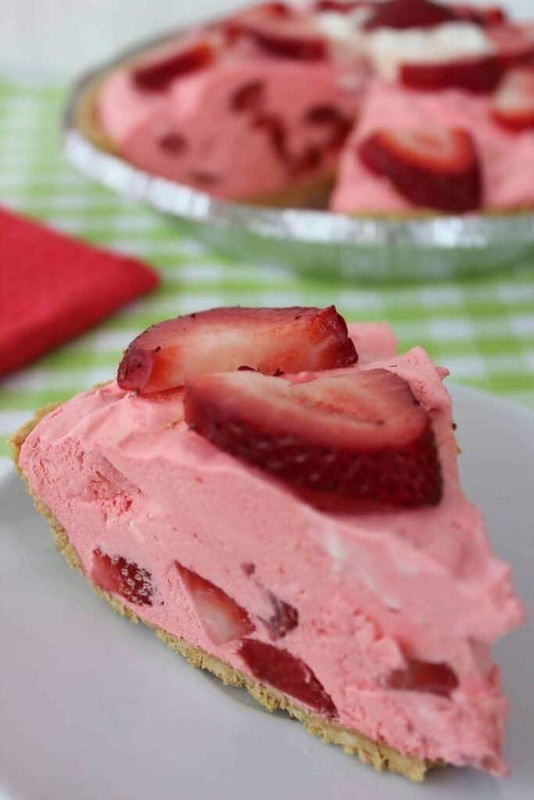 Whether you are looking for new strawberry desserts for an upcoming party or are just wanting something to try that is different like this easy strawberry cream mousse pie, you have come to the right place. The best part is that these delicious treats not only taste great, but they look stunning as well. I hope you find some inspiration for your next strawberry recipe. Strawberry Cake With Mascarpone Buttercream| Intense and decadent strawberry cake. This amazing dessert will leave a lasting impression. Strawberry Lemonade Popsicles| These are a nice refreshing treat on a hot summer day. The best part is they taste fantastic and are healthy! Strawberry Nutella Heart Pie| Heavenly hazelnut flavor combined with fresh strawberries in the middle of flaky pie crust pastry. This is a show stopper! Strawberry Cheesecake Brownie Cups| Easy, delectable and the perfect dessert to take to your next picnic. The creamy cheesecake paired with the fresh strawberries and brownie is amazing. Gluten-Free Vegan Strawberry Sponge Layer Cake| Is there anything better than ripe strawberries and sponge cake? This will be a crowd pleaser. Strawberry Flan Jello Cake| Stunning jello cake that is creamy and dreamy. This will wow your guests and please their palate. Strawberry Dessert French Toast| French toast on its own is one of the most delicious breakfasts, but adding fresh strawberries takes it to a whole new level. Fruit Cookie Pizza| Garden fresh strawberries, kiwi and mango over a sugar cookie crust and topped with whipped cream. Absolutely heavenly. Paleo Strawberry Coconut Thumbprint Cookies| These healthy cookies taste fantastic and are so adorable! Perfect tailgating dessert! Easy Frozen Mixed Berry Vanilla Custard Pie| Liven up your next barbeque with this delicious frozen pie. Fresh strawberries, blueberries, raspberries, blackberries on a graham cracker crust. Strawberry Mango Popsicles| Looking for a cool summer treat? If so, you have to try these super easy popsicles. They are so simple and taste fantastic. Almond Mixed Berry Smoothie Bowl| Start your morning fresh with this great tasting smoothie bowl. 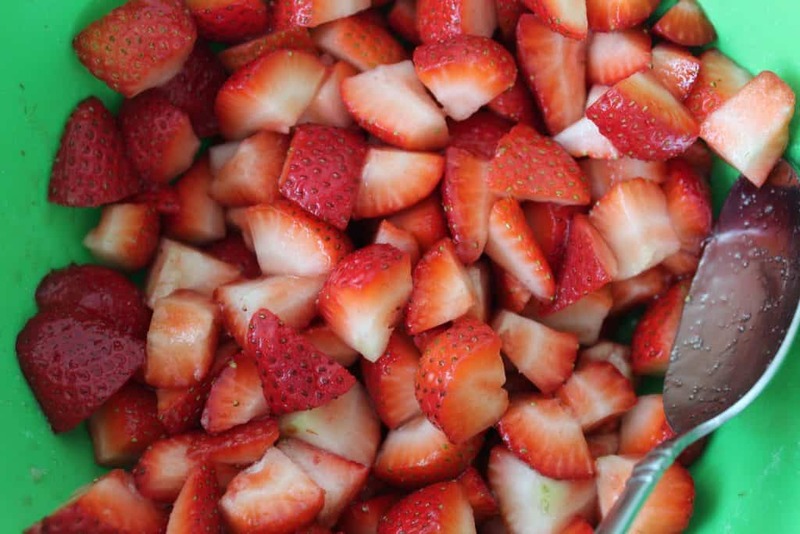 Can anything taste better than ripe strawberries and almonds together? Strawberry Ice Cream| Cool and refreshing this homemade ice cream is so easy to make. This will be everyone’s new favorite dessert! Strawberry Cheesecake Cookie Cups| Give that sweet tooth what it wants with these delicious cookie cups. There is just the right amount of strawberries in this crowd pleaser. White Cake With Strawberries And White Chocolate Whipped Mousse| Simple cake that looks and tastes like it was made in a bakery. Perfect for wedding or baby showers! Strawberry Banana Muffins| Sweet and healthy muffins made with delicious fresh ingredients. A perfect combination of strawberry and bananas. Strawberry Ginger Smoothie Bowl| This is just right for an easy and filling breakfast. Ripe strawberries, kiwi fruit, and banana combined with a few other ingredients make this delectable meal. Vanilla Cupcakes With Strawberry Mascarpone Frosting| You should definitely double the batch when you make these. They are slightly sweet and gorgeous. Easy Strawberry Trifle Recipe| This is like a dream dessert! You will want to lick the bowl after enjoying this fantastic strawberry treat. Pink Homemade Sugar-Free Gummy Bears| Talk about an adorable and tasty snack. The best part is you know exactly what goes into these gummy bears. Yummy!